3 peanut cookies | Flickr - Photo Sharing! 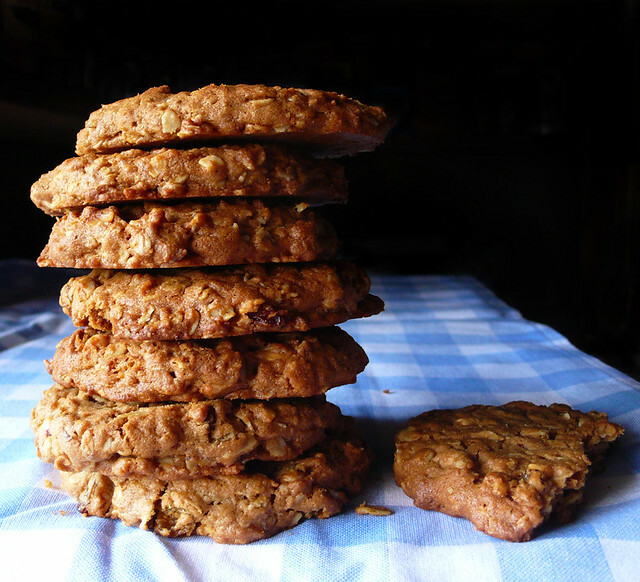 supah-large oatmeal cookies with chunky peanut butter, chopped roasted peanuts and peanut butter chip. adapted from "baking: from my home to yours" by dorie greenspan. Achiam, Spygirl, millhouseloves, and 5 other people added this photo to their favorites. Evil! Pure evil! Now I *must* make some, too! dancy, these were both chewy and crunchy. i used the same recipe as the oatmeal chocolate chip peanut butter cookie recipe, just adapted it a bit. dhania, surprisingly not too sweet. almost healthy tasting! achiam, don't feed them to my doggies! Oh...so beautiful! If this photo is in a cookbook I think I'll have to buy 10 of them !!!! !